A tired worker threatens not only the safety of employees but also the productivity, efficiency and mental health of the workforce. 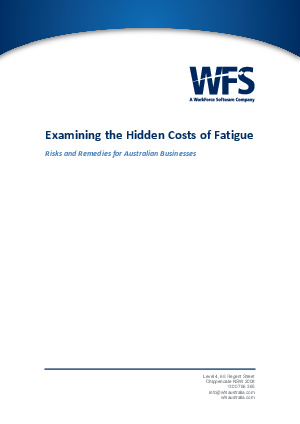 Working whilst fatigued has been shown to be the equivalent of working whilst intoxicated by alcohol or other drugs. It can impact productivity, judgement and risk-taking behaviours, and create a temptation for workers to cut corners, as witnessed in the Mona Vale incident.